I had to take a two week break from cycling due to a raw spot on my sit bone. Not sure what was going on but I thought I had been bitten by a bug or spider of some sort. I am going to start checking under my seat before I ride for spiders. I rode a few days and then had my shoe cleat break on my right foot on my way home so took the bike to the LBS for repaid. Another few days off of the bike. In reflection I will have to say that the break from bike commuting was hard, but it was a good break because I was getting fanatical by trying to ride 100 miles a day which is not sustainable for me because I also have to work 8 hours a day. I am all about cycling and sustaining my health and not going through extreme ups and downs with my cycling. Next week I will start to ride again and see if I can get back into a moderate riding routine. 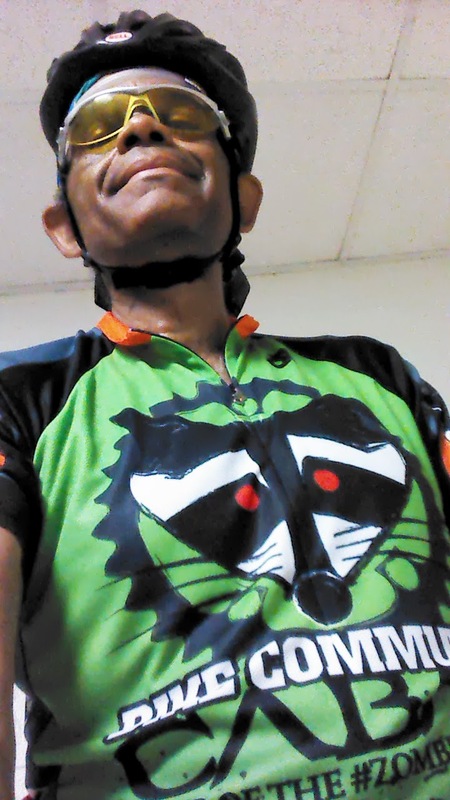 BTW my Bicycling Commuter Cabal jersey and my Pecan Pedalers jerseys came in so now I can ride with pride.